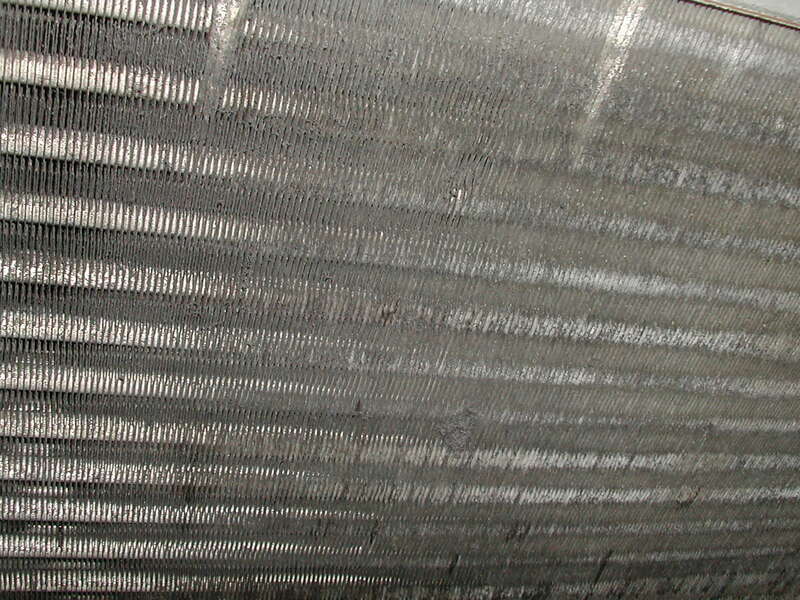 It is recommended in AS3666.2 and according to AIRAH guidelines that all AHUs be inspected monthly with particular attention to drain trays. 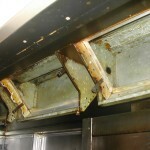 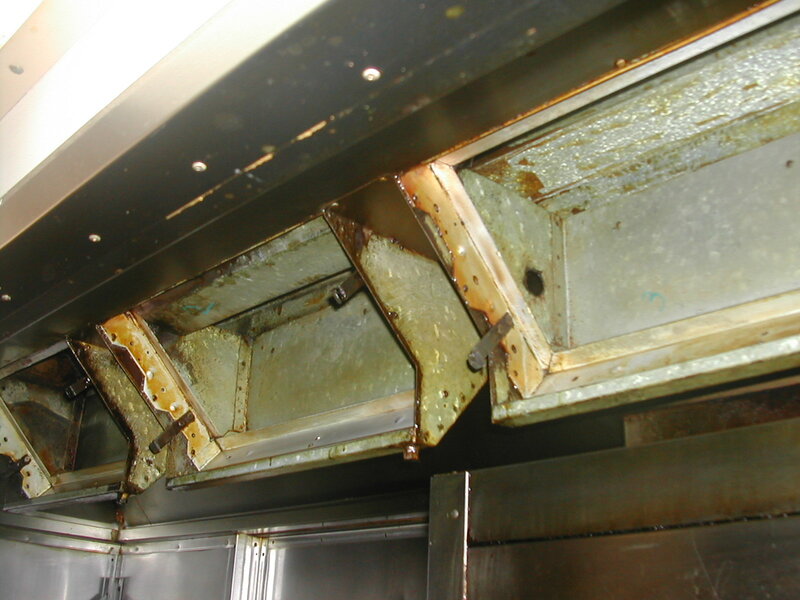 The units should be cleaned at least yearly, but if monthly inspections show any problems then the units should be cleaned as required. 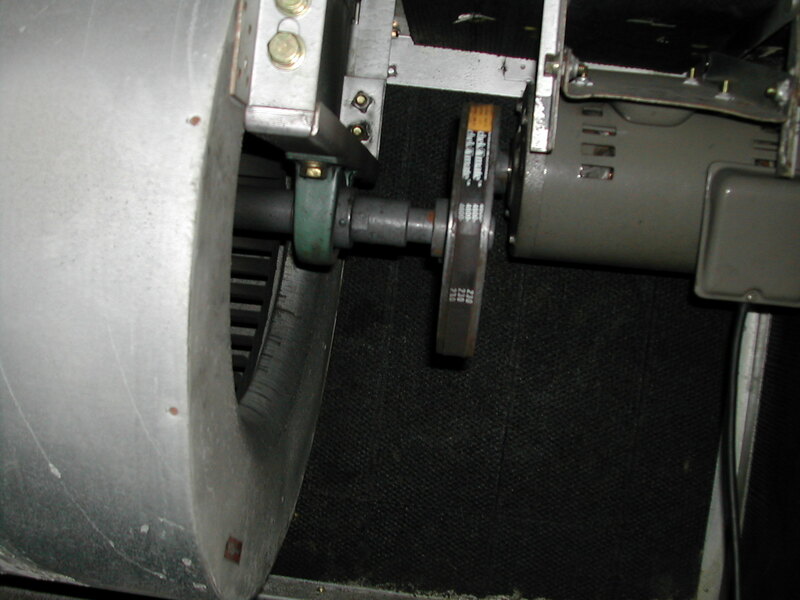 Before proceeding, any ultra violet lights are turned off where fitted to unit. 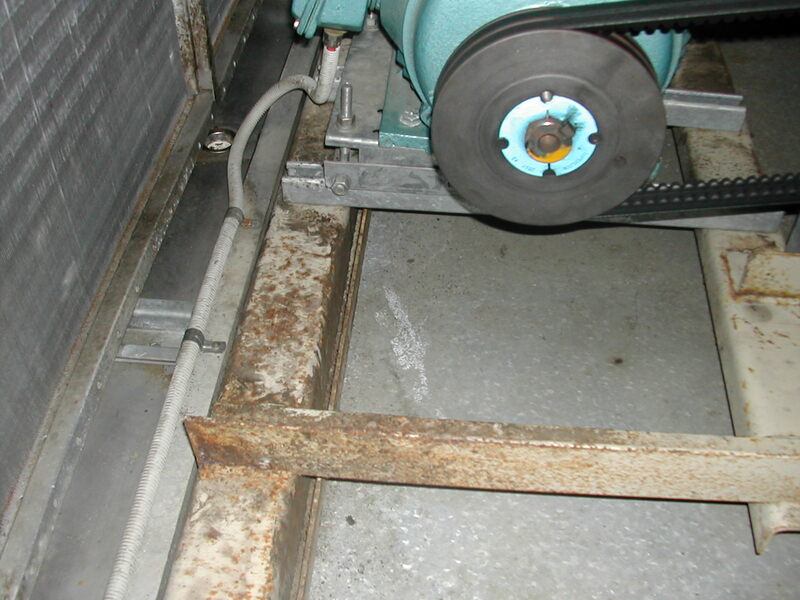 Mag readings are taken prior to turning off and isolating unit. 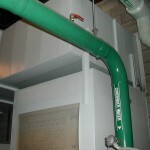 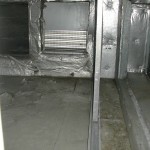 The condition of floors, walls, ceilings inside unit are checked. 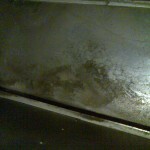 Any items that need attention e.g. 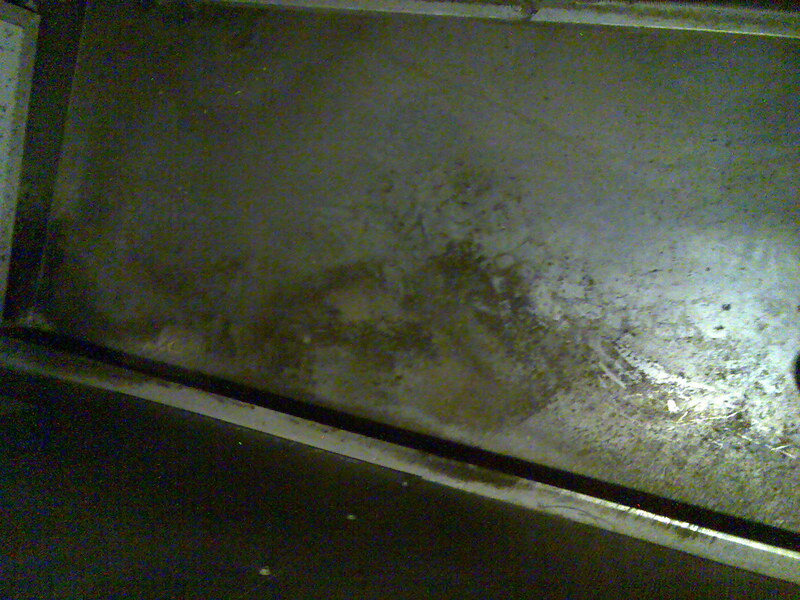 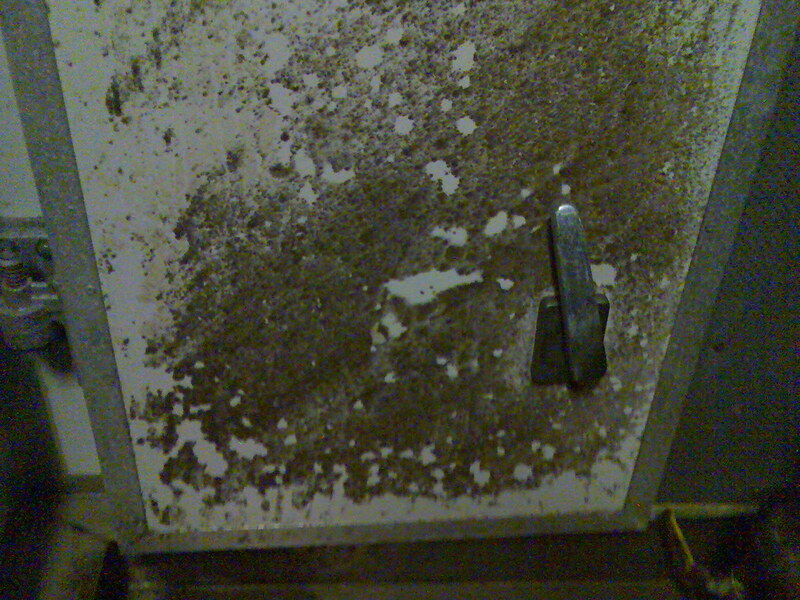 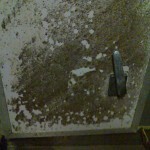 dirty floors, mould, leaking valves are noted for inclusion on the report. 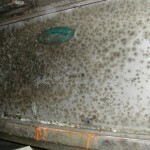 If minor mould is found this is cleaned immediately with hospital grade disinfectant and/or white vinegar and any material used for cleaning will be thrown away to prevent cross contamination. 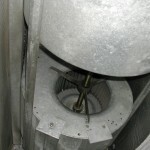 All internal lights are checked for problems. 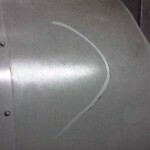 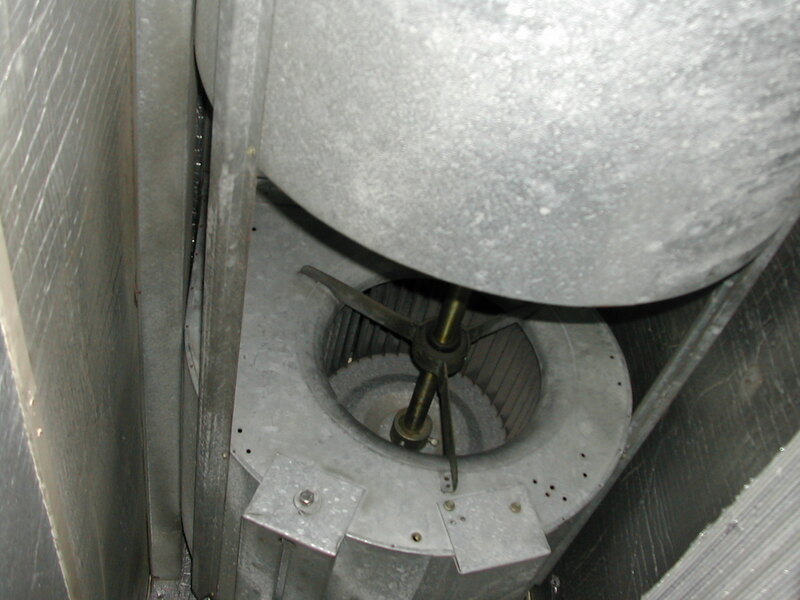 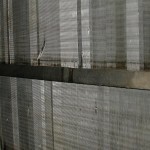 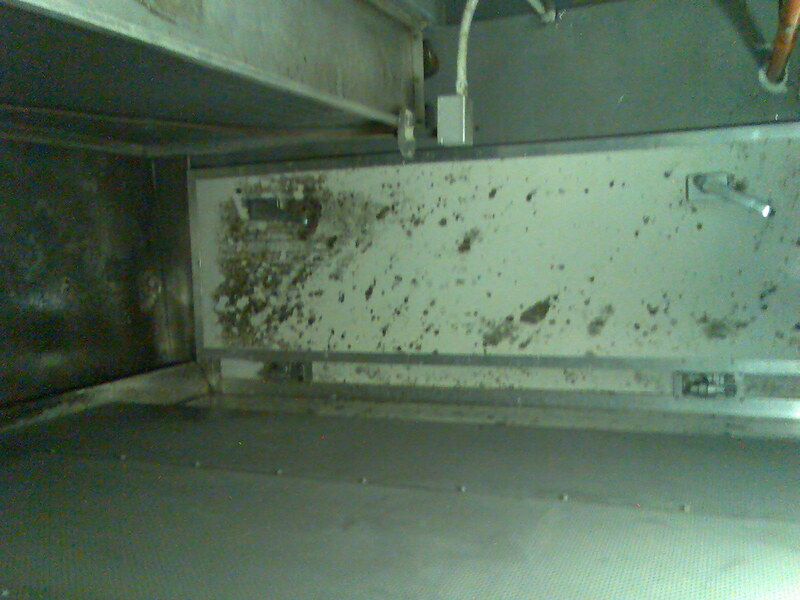 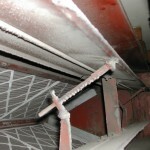 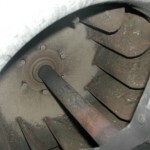 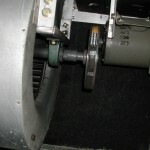 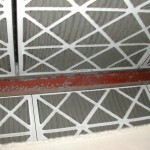 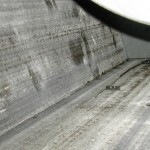 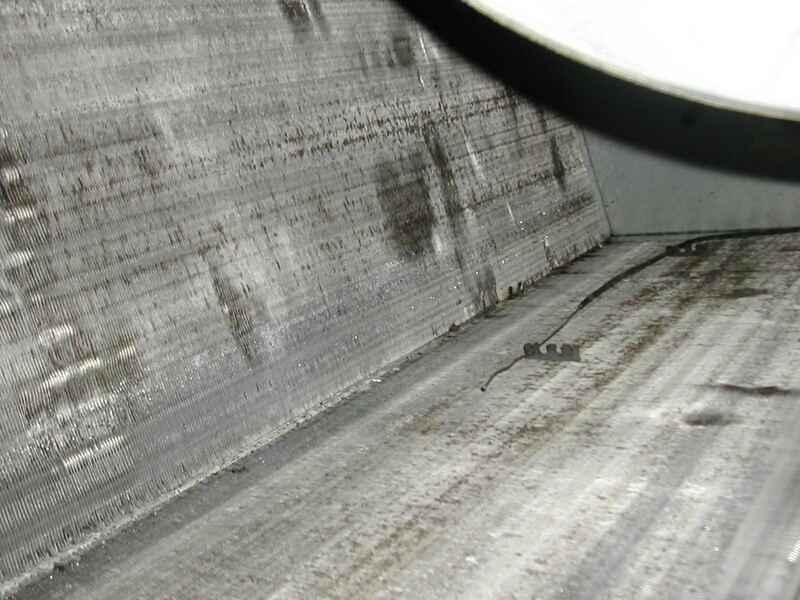 The fan is checked for broken belts, dirt, mould or rust building up on fan blades and housing and any issues reported. 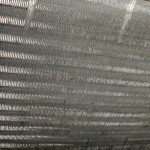 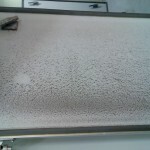 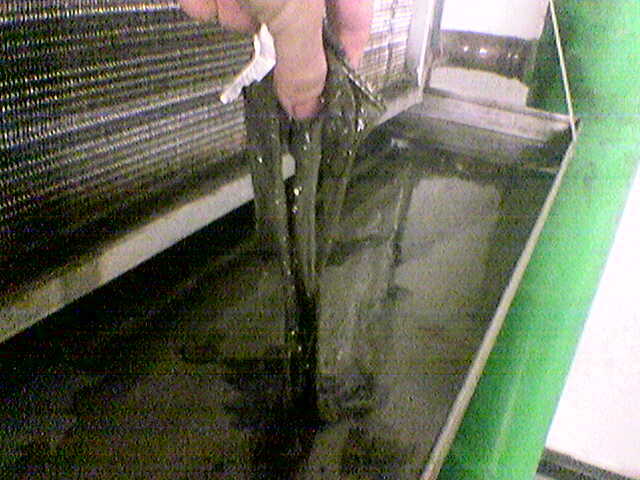 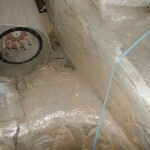 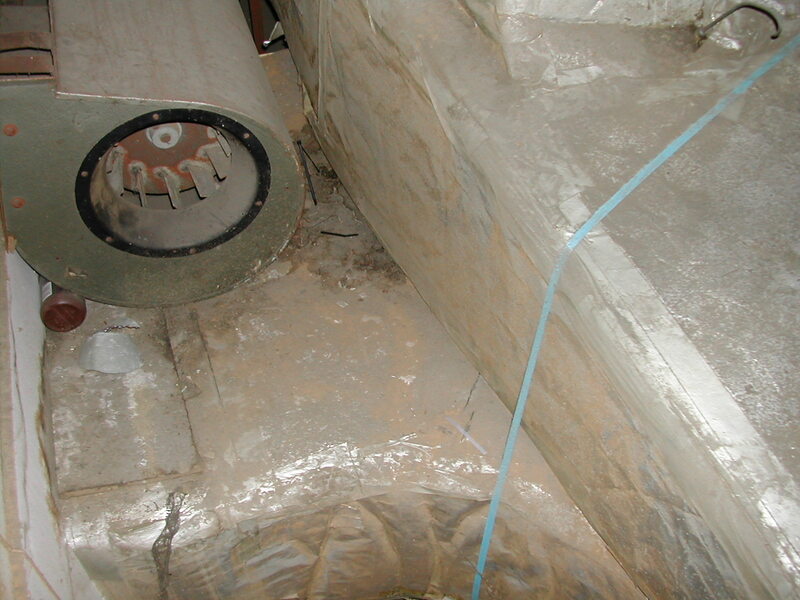 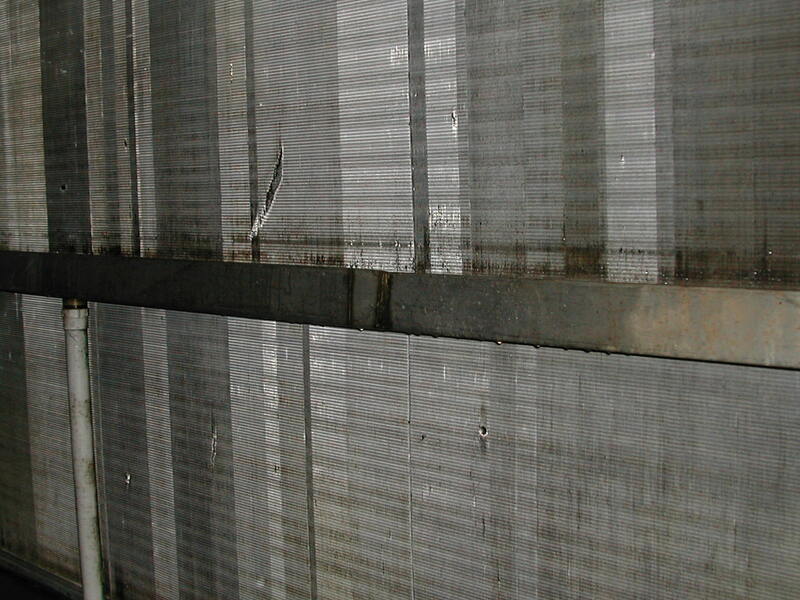 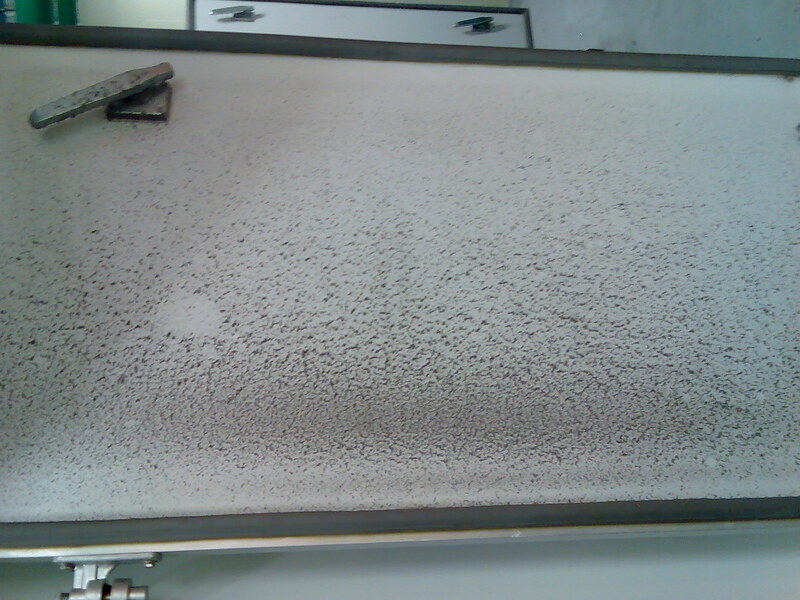 The coils are checked and condition reported and sprayed with disinfectant. 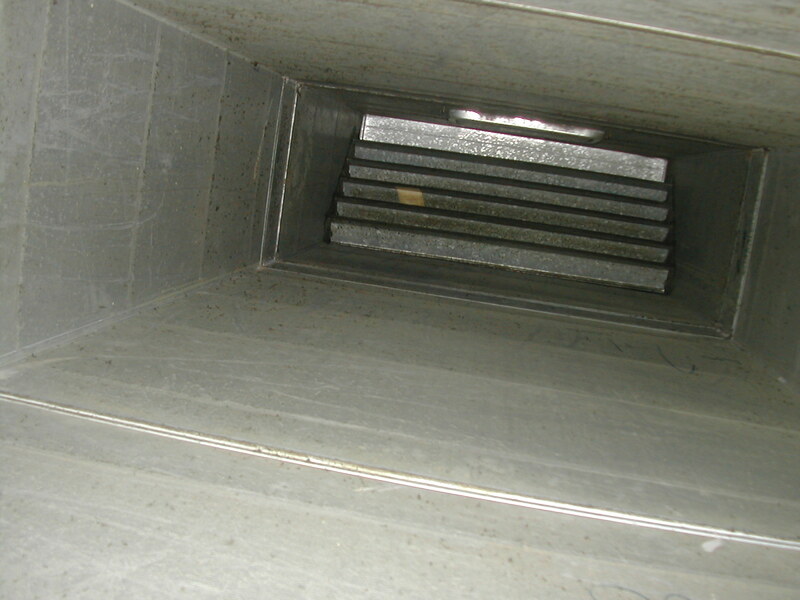 The drain trays are cleaned and flushed to ensure they are working correctly. 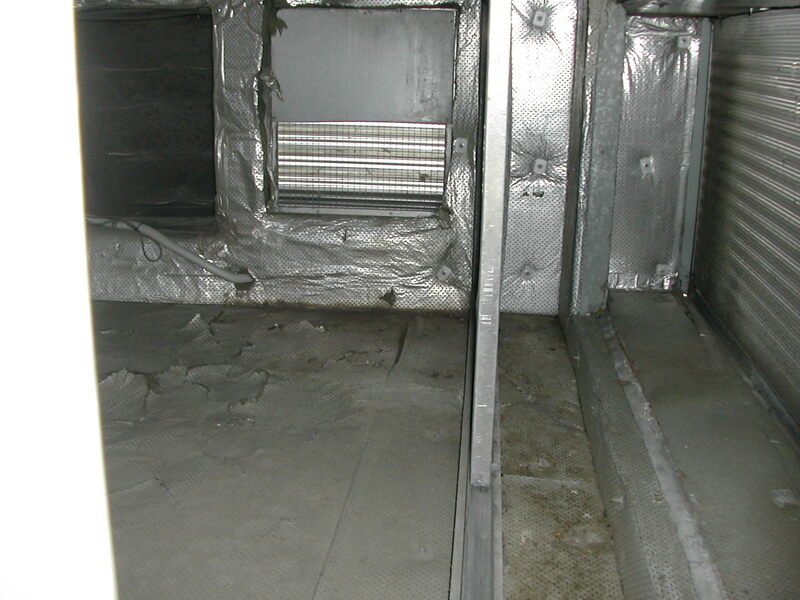 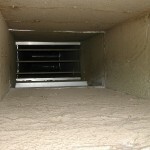 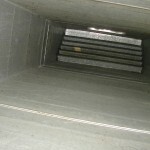 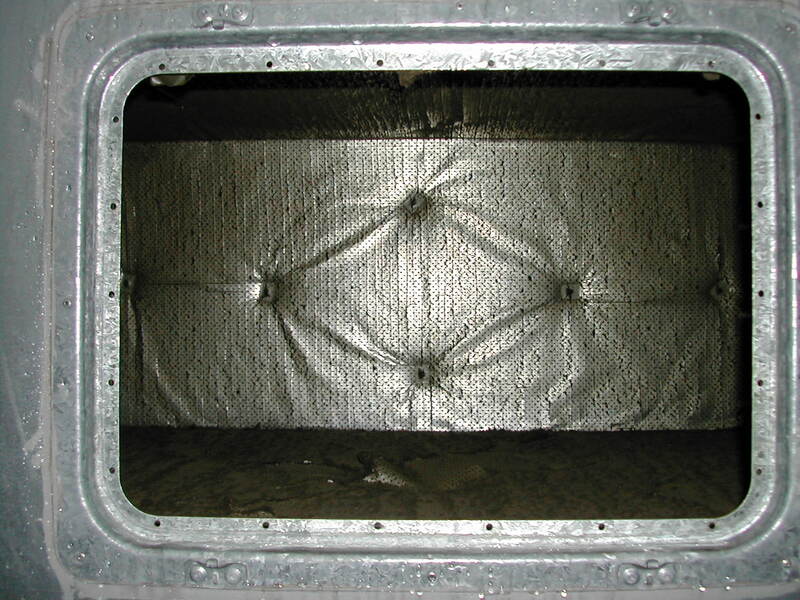 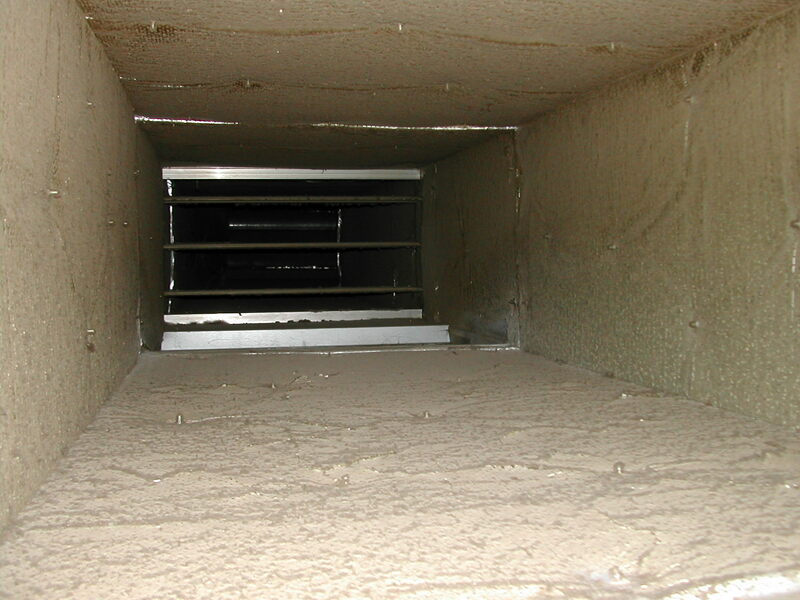 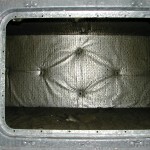 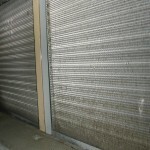 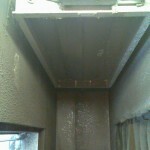 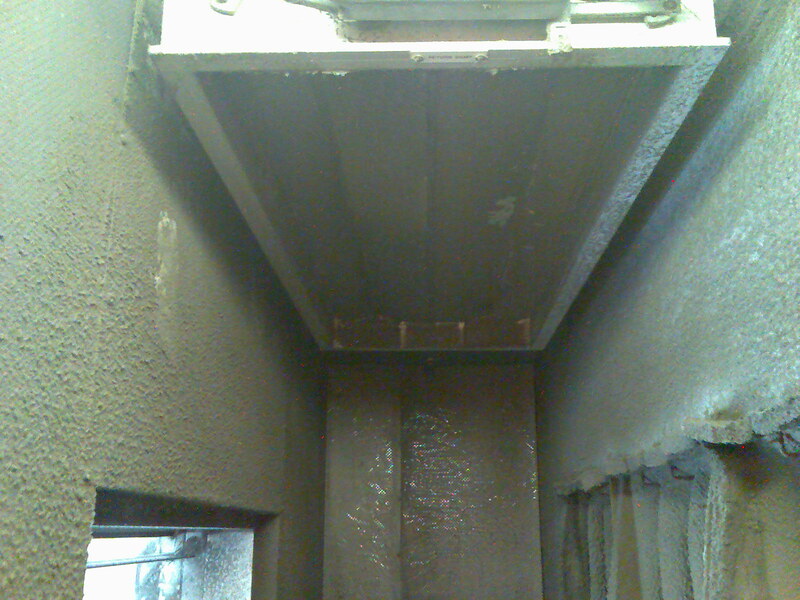 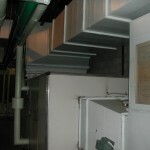 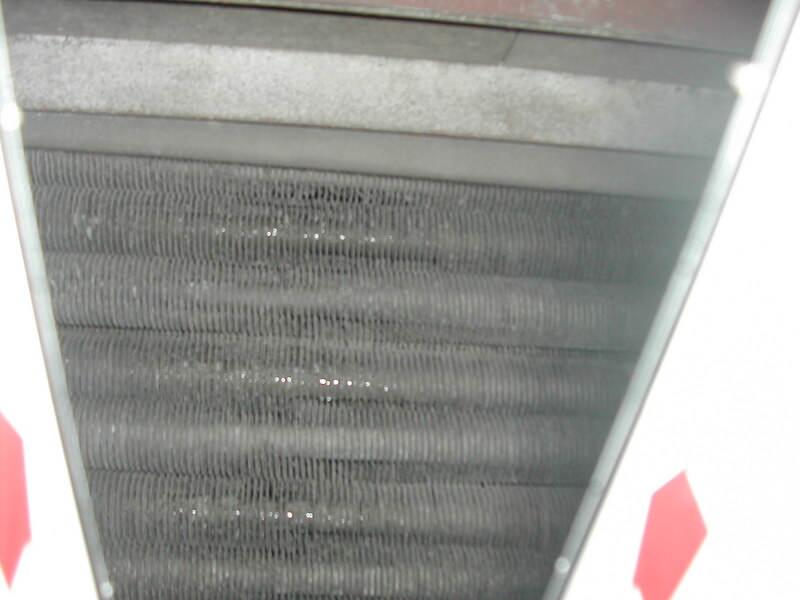 The condition of filters, fresh air and return air ducts on return side of unit are checked and included in the report. 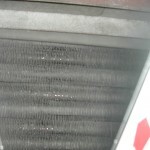 If any other anomalies are noticed, e.g. 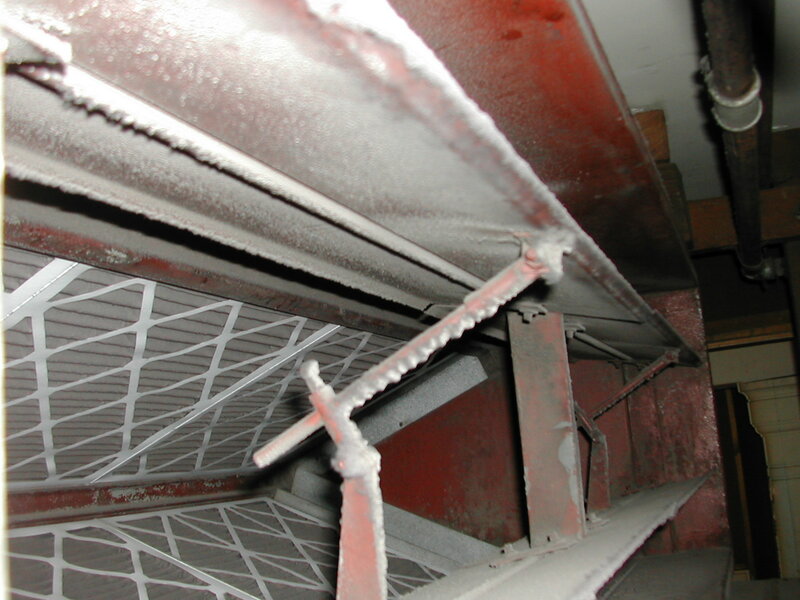 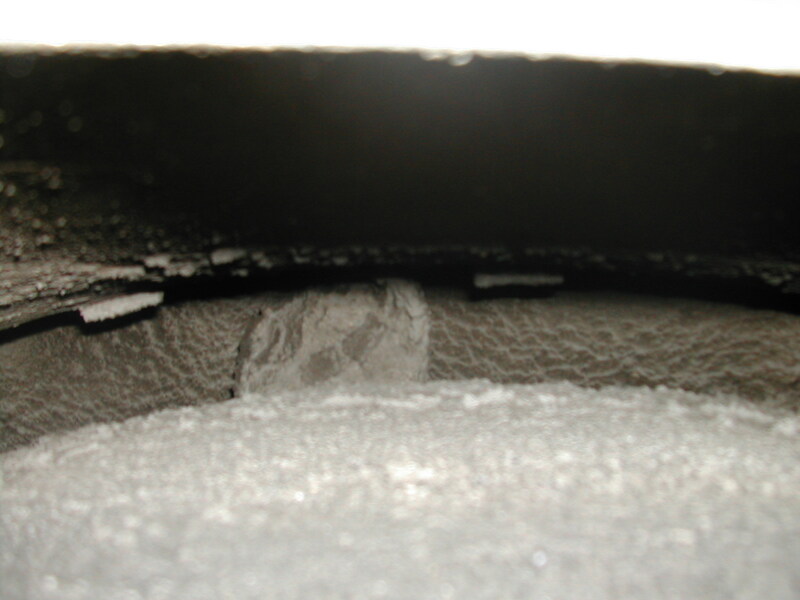 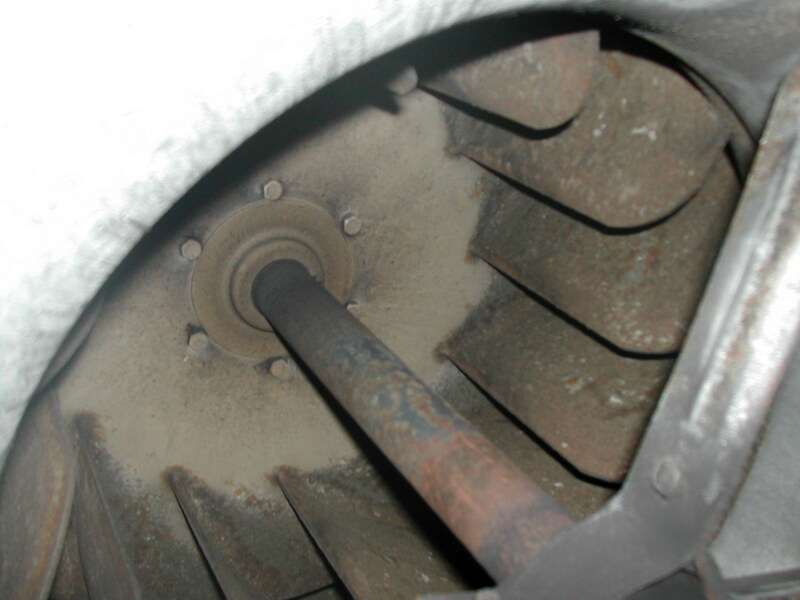 broken damper blades, electrical covers missing etc., this is added to the report. 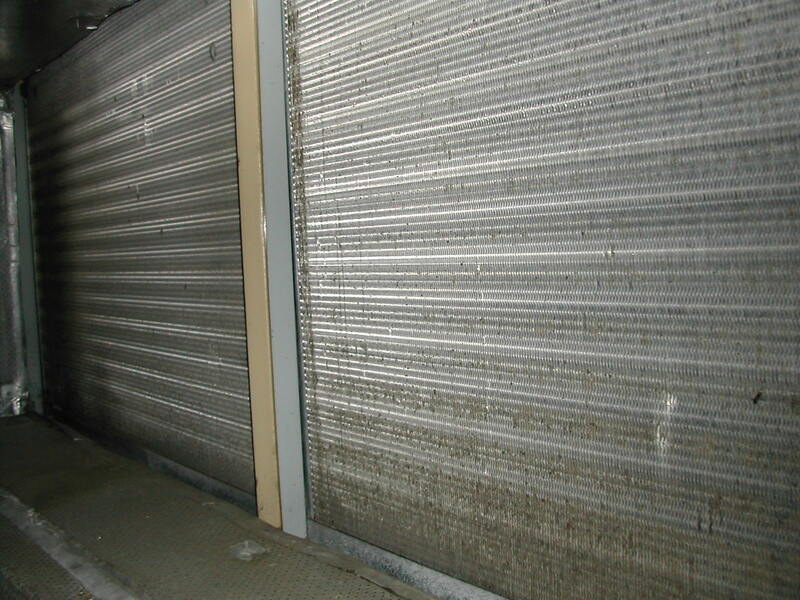 The external walls and roof of unit are checked for cleanliness and reported. 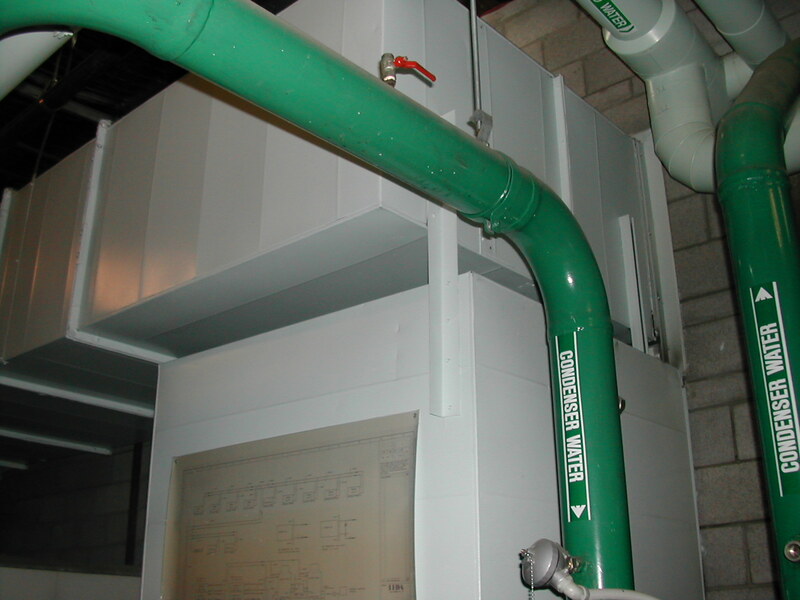 The unit is recommissioned and where fitted, ultra violet lights are turned back on. 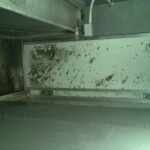 If any major problems are found the client will be contacted immediately and notified, otherwise a written report will be issued on completion of checks. 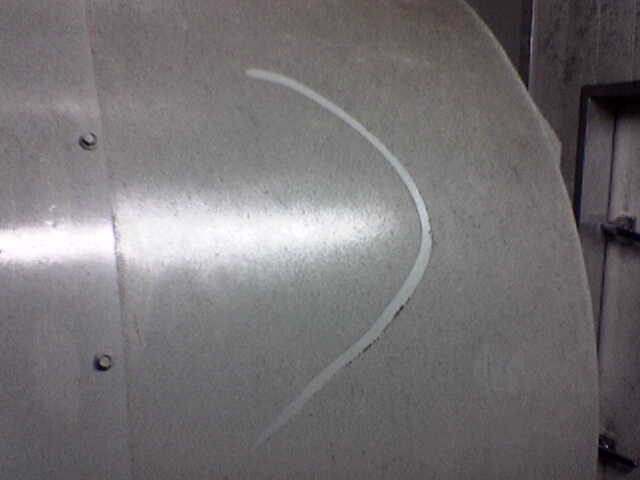 Warn staff of possible eye irritation if they enter the area. 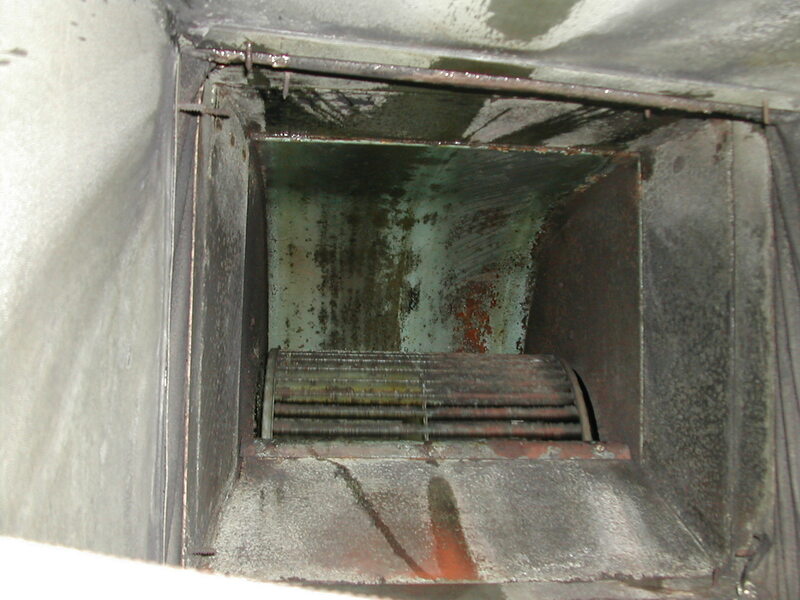 The grease from bearing housings and inside of fan are cleaned using Brilliant Clean and if required pressure washed to remove grease and black particulate from fan blades. 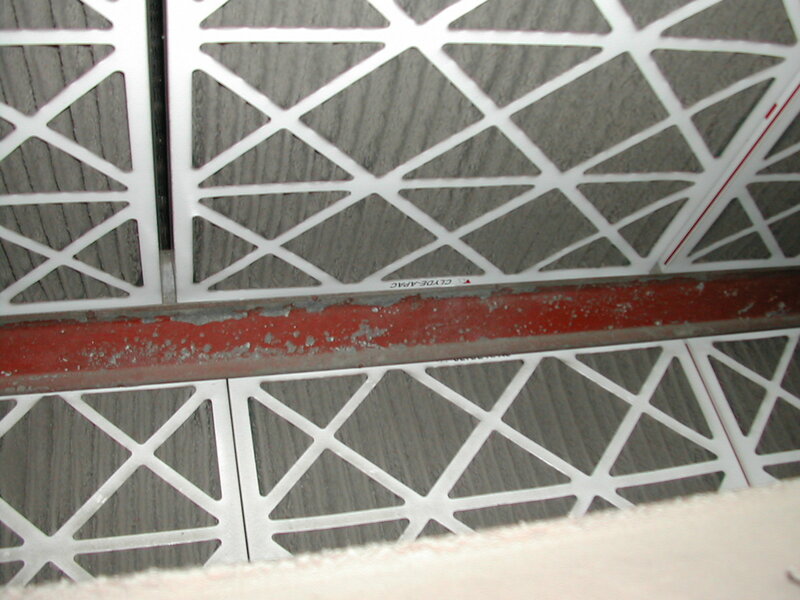 The walls and ceilings are sprayed and washed with Hospital Grade Disinfectant or Sanocair. 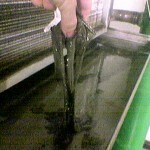 The coil is cleaned and disinfected. 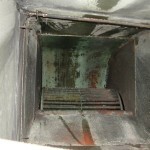 The drip tray is cleaned and the drain trap is checked to make sure it is clear and charged and not dripping on plantroom floor. 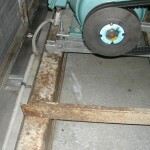 The floors in the plantroom are vacuumed to remove any water spillage. 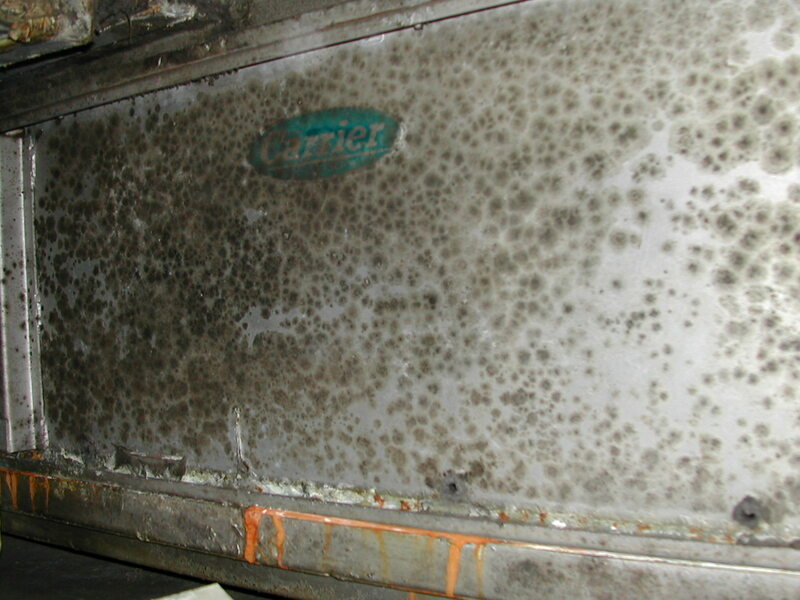 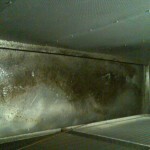 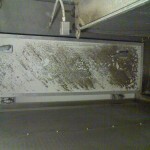 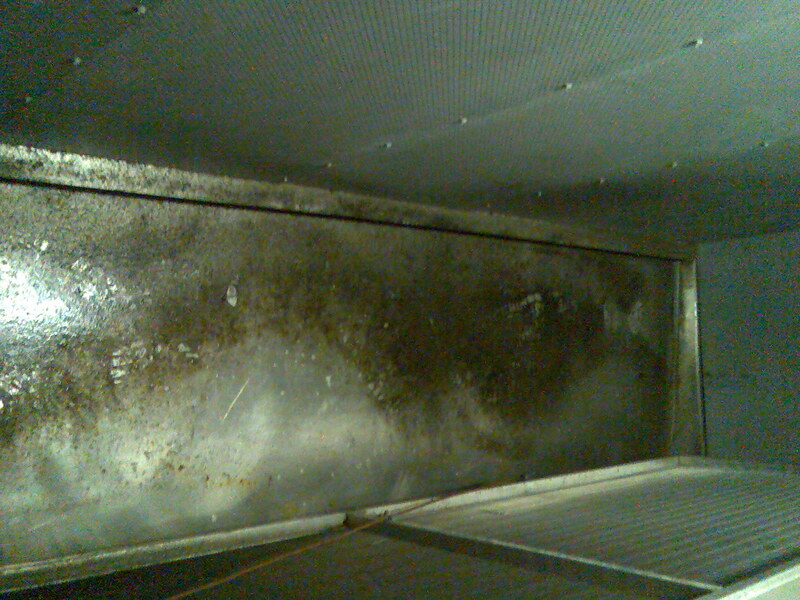 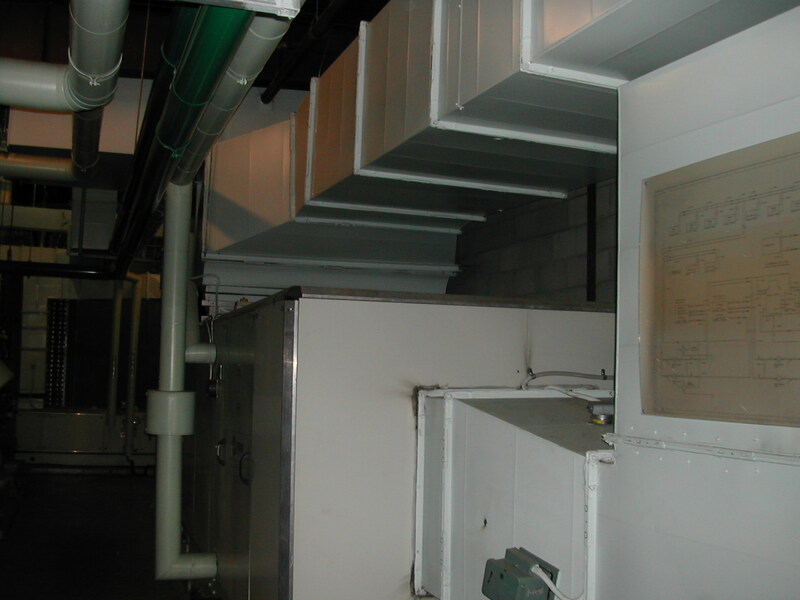 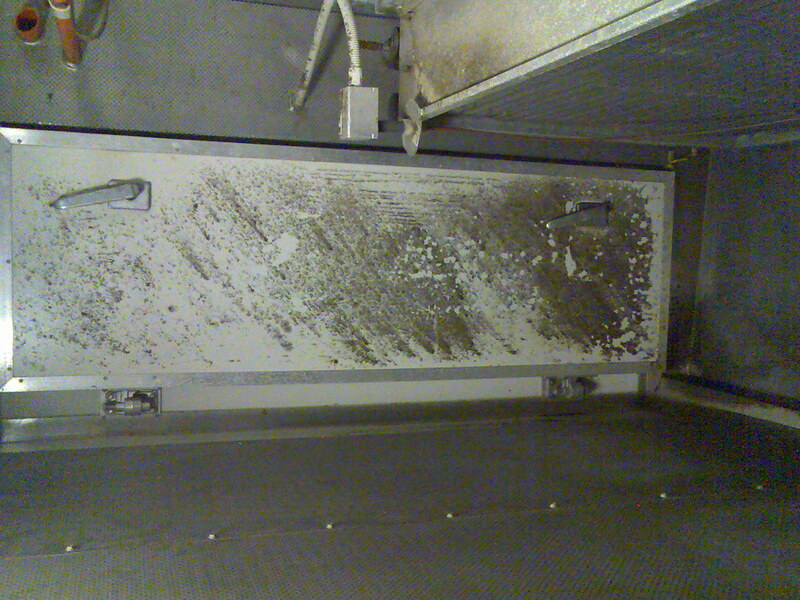 If the client wishes the externals of the AHU be cleaned also instead of with a plant room clean this is carried out.